Set in the heart of its very own nature reserve, this eco-friendly resort hotel offers a luxurious stay for all. Facing the beautiful ocean, the Sandos San Blas Nature Resort boasts a tranquil ambience in a peaceful setting, with the prestigious Golf del Sur course neighbouring the property. 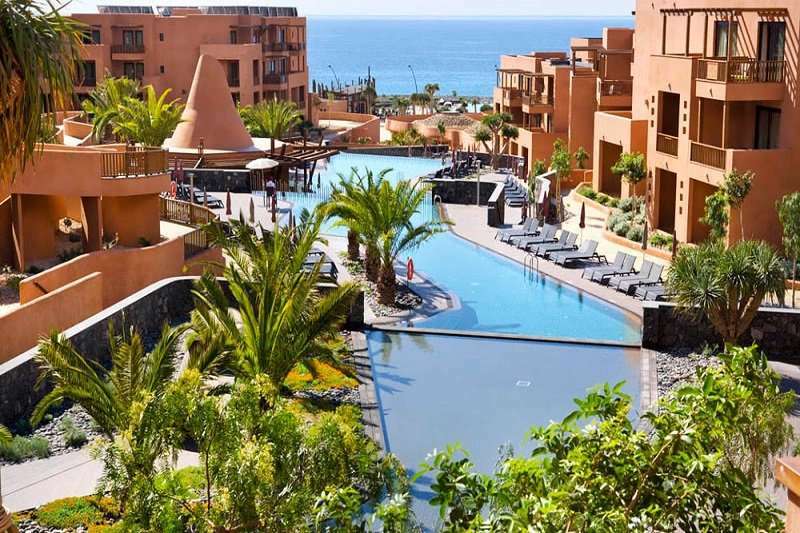 This resort would make the perfect hotel for your next escape to Tenerife. 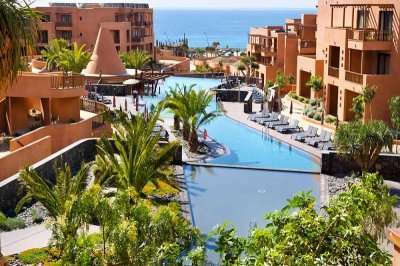 Due to its location in the depth of the San Blas Nature Reserve, here guests are blessed with a tranquil and peaceful setting in this area, out of the hustle and bustle of the main tourist areas in Tenerife. Whilst you may feel out the way, some fantastic activities are still accessible from this hotel; you will never find yourself bored here. 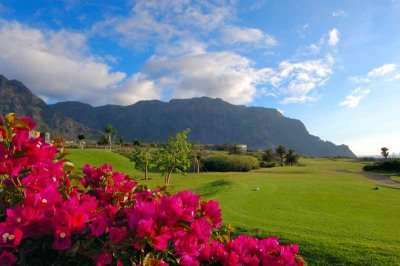 For example, to keep fit when not challenging the greens, guests can enjoy the nature setting and trek through the mountainous area of the nature reserve, or enjoy a romantic picnic in a beautiful setting. For an array of bars and restaurants, guests can wander into the town of Los Abrigos which is approximately a 20 minute walk away. 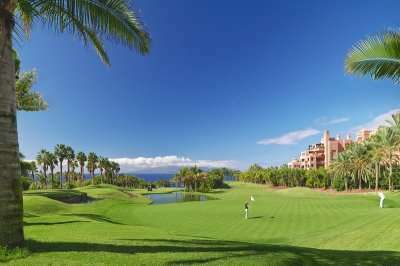 Guests here can further appreciate the nature setting of this area by playing arguably one of the most beautiful courses in Tenerife, Golf del Sur. This course is just a 5 minute drive away from the resort. 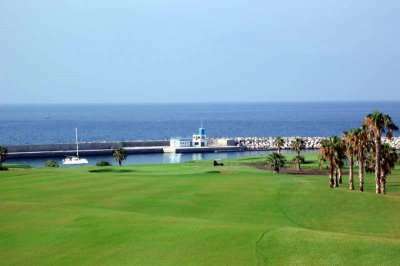 Alternatively, guests can choose to play the Amarilla course which is also in very close proximity at a 10 minute drive away, and neighbours the Golf del Sur course. Both these courses boast scenic coastal views throughout. 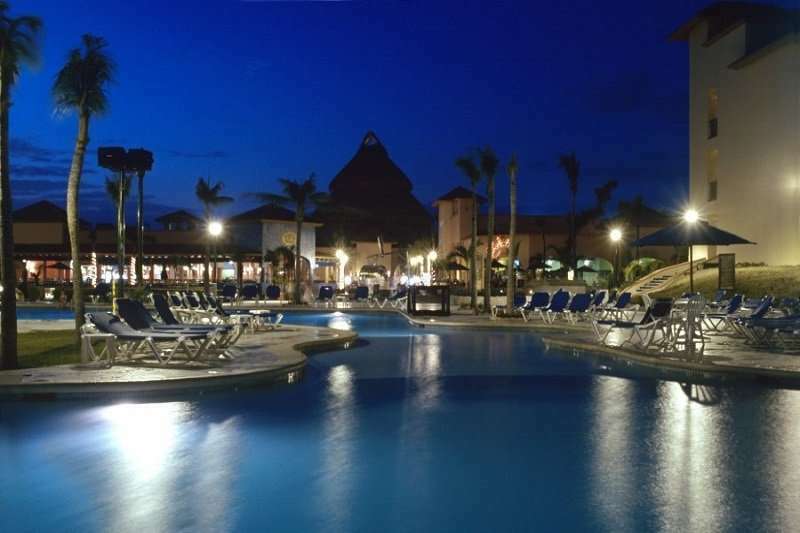 The Sandos San Blas Nature Resort features 331 spacious and beautifully decorated rooms, which within the vast grounds give the hotel an exclusive feel. The facilities included in the rooms are exactly what you would expect at a 5-star resort. All rooms include air conditioning, a safe, a well-stocked minibar and private balcony to appreciate the fantastic views. The hotel has a total of 8 swimming pools on offer to prove itself as the ultimate vacation getaway. Furthermore, the hotel also features a unique boating lake where guests can use it for kayaking and several other water sports. The hotel offers a wide range of extra activities for guests to enjoy such as tennis and mountain biking. 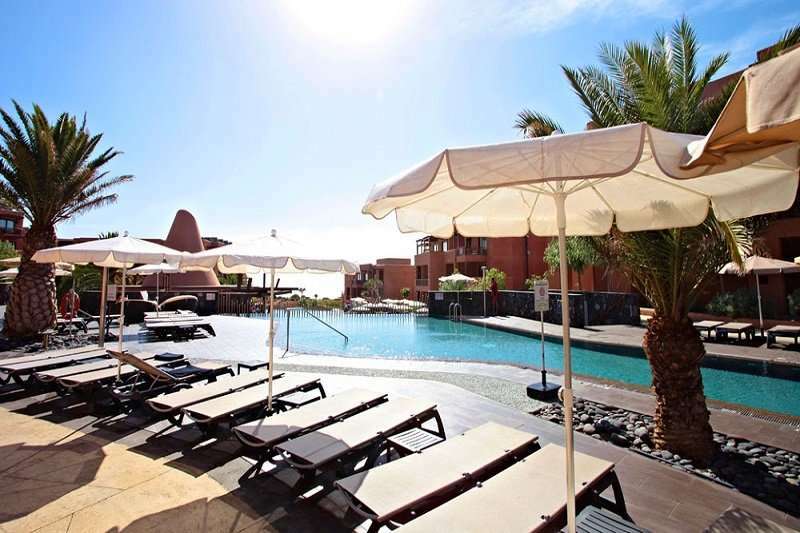 The younger guests here will find themselves entertained with their own children’s pool and mini-club. Choices for dining here is extensive, and all tastes can be accommodated for and satisfied. With numerous bars and restaurants, the food here is widely regarded as some of the best in the area, a real five star experience. At the Bar El Taro guests can enjoy some light tapas, and a fabulous day of relaxation can be concluded with a drink at the Bar Magma. 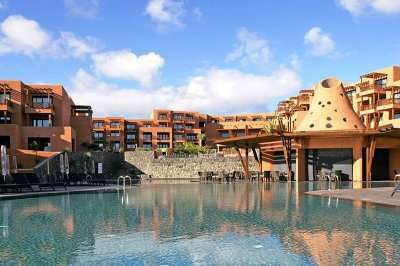 This eco-friendly hotel is the ultimate luxury all-inclusive experience in Tenerife, and with two superb courses only a mile away, a real gem for golfers too!